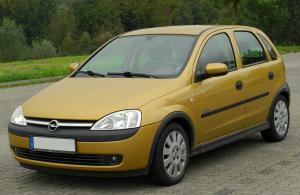 Garage owners and Vauxhall Corsa drivers are being warned about a new breed of criminal known as the Corsa Cannibal. Gangs have been stripping down panels from the small car overnight, typically outside owners’ homes or on garage forecourts across the UK. The Corsa Cannibals tend to take the parts often damaged in a crash. Because the model is popular with young drivers who are more likely to be involved in accidents, there is demand for these body panels which can be costly to replace, The Guardian reported. When garages are involved in incidents like this, it reiterates the importance of having adequate motor trade insurance, whether that is to cover cars for sale or customer cars left on the premises overnight. Fast Car magazine online editor, Glenn Rowswell, said: "It is a model of car that is quite often in accidents, meaning there is a big market for replacement panels, which can be very expensive from the manufacturer." The spate of car stripping incidents was first seen in Bedfordshire in 2013 and has now spread to Teesside. Earlier this month, three red sport Corsa models were targeted in one weekend and left “unrecognisable”, Cleveland Police said. In many cases, it has not been economical for owners to repair their cars.